ESK is a fine artist, calligrapher, muralist, and tattooer based in Oakland, California. 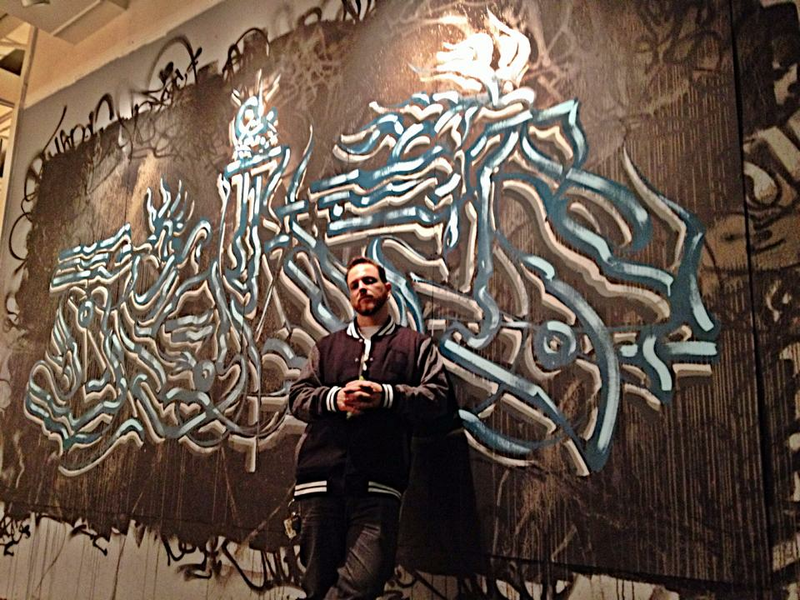 His work is balanced on the line between graffiti and abstract expressionism, with his own personal style of calligraphy being the bridge that connects the two disparate modes of work. This calligraphic style is made up of English letters, but are abstracted through calligraphic mark making strokes drawn from ancient calligraphic traditions. The resulting works are meditative visual networks of calligraphic line, guiding the viewer towards a looser, visceral interpretation of written communication. Founded in a meditative approach towards expression, ESK gives his audience a sensation of peace while being presented with an assortment of mediums, sculpture, ink, paint and more. Each sculpture & piece is full of fragmented objects, seeking to re-contextualize the things so frequently discarded.